Barnsley assistant head coach Andreas Winkler is relishing his first taste of the FA Cup. 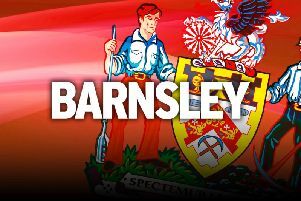 The Reds welcome League Two strugglers Notts County to Oakwell for their first-round tie on Saturday. And the German is well aware of the history of the competition from watching it on television when growing up in his homeland. “It is not so different from the cup in Germany. It is kind of magic,” Winkler said. “I like the cup because it is real football, it is just win or lose and nothing else. “We lost in the Carabao Cup so this is the one real cup – besides the Checkatrade Trophy which is a trophy – and we want to get into the next round. Winkler confirmed head coach Daniel Stendel is treating the fixture like a league game, meaning he is likely to revert back to his strongest line-up after making 10 changes for the midweek Checkatrade Trophy clash with Everton U21s. Striker Cauley Woodrow could be handed a chance to increase his game-time as he continues to build up his match fitness following injury. Back in first-team contention following a muscle problem, the 23-year-old made his debut from the bench last Saturday and then played the opening 45 minutes in midweek. “He did well and you could see good moves and he is now in really good shape,” Winkler said. “You could see that for 45 minutes and maybe for Saturday, he will get more minutes - 60 minutes or whatever. The gaffer needs to decide. “We will decide what we will do to build him up and we are very happy that he is now doing fine and is now part of the line-up. “He is a different attacker to Kieffer (Moore) and Victor (Adeboyejo). He can score, but he is also quick and can save the ball. Expected to be promotion contenders this season, Notts County find themselves languishing third bottom after a difficult start that has seen Harry Kewell replace Kevin Nolan as boss. But despite their league troubles, Winkler knows anything can happen in the cup. “They have a strong side who could do better,” he said. “They conceded a lot of goals – 36 in the league – but they score a lot. They try to build up and try to play football. “They have to find a balance between offence and defence. We have to pay attention to Notts County.